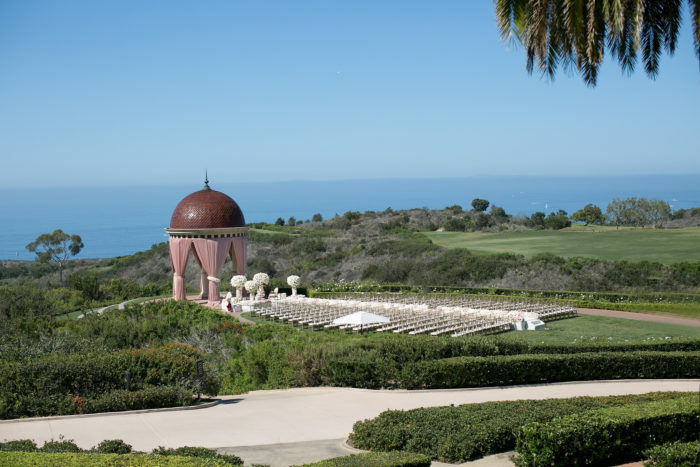 The Resort at Pelican Hill caused a sensation when it opened in 2008. 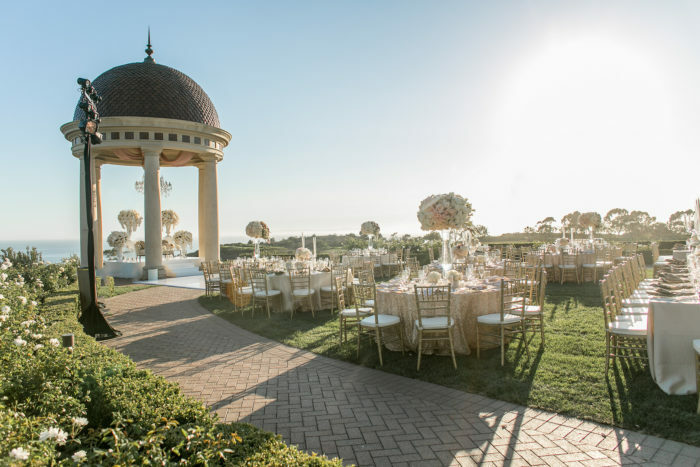 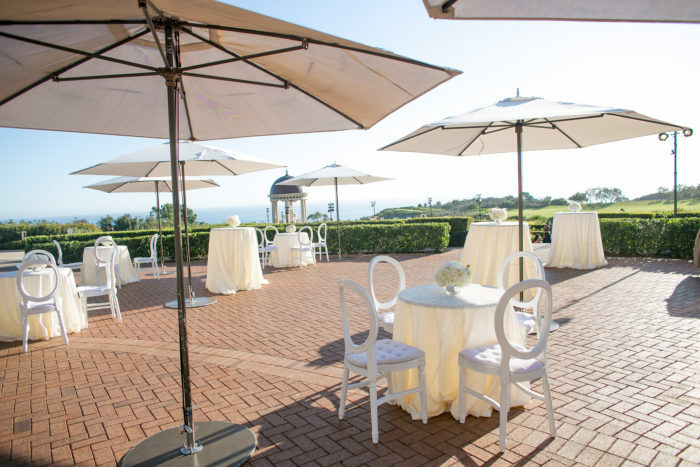 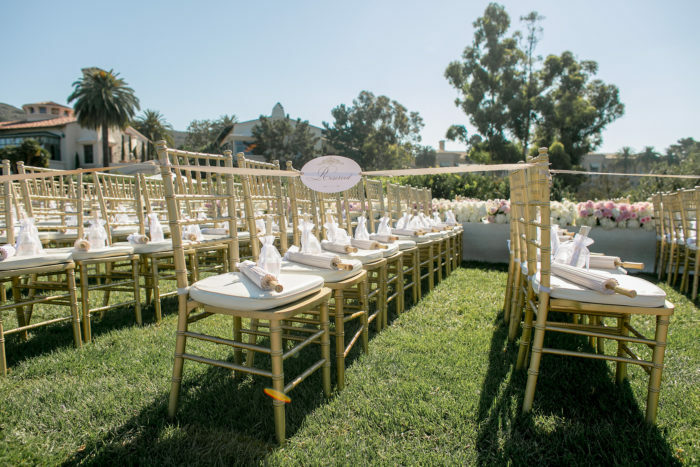 Situated along the Pacific Ocean, the luxurious resort features luxurious architecture, ocean views, and a beautiful space, the Event Lawn Rotunda, that frequently serves as an unforgettable setting for weddings. 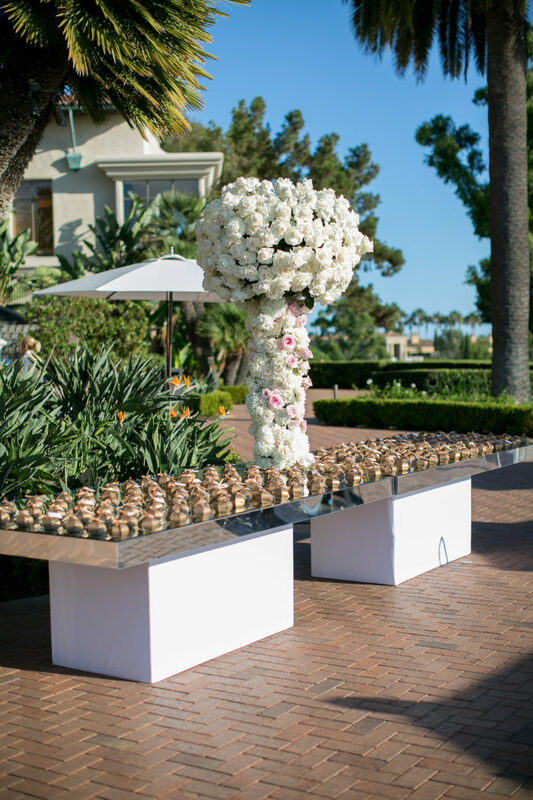 This celebration, photographed by Katie Beverley, was one of our favorites at the Resort. 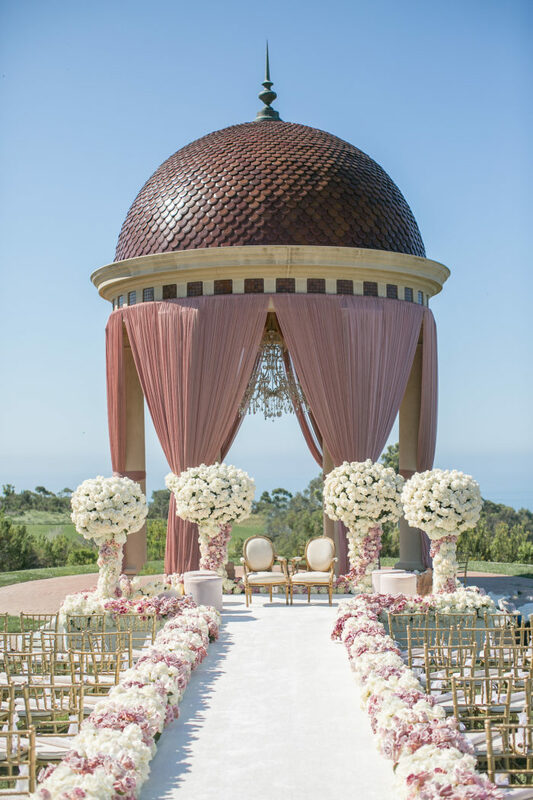 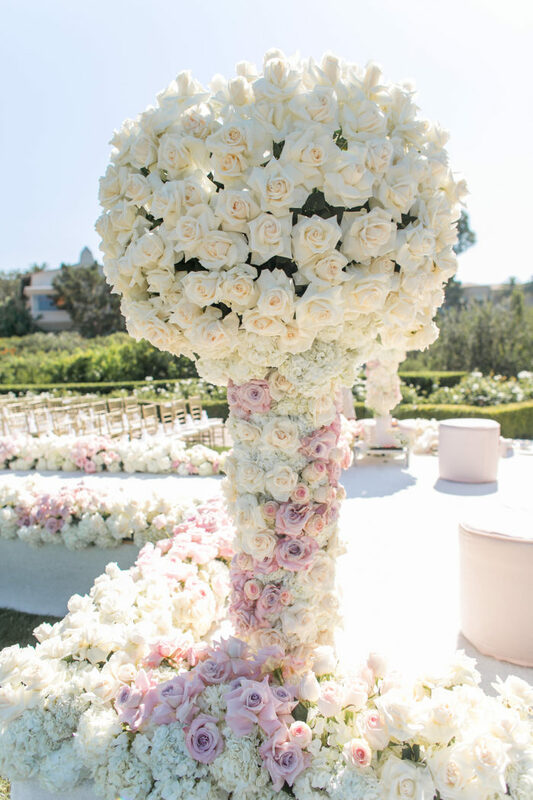 Four grand floral pillars topped with orbs of roses framed the ceremony area. 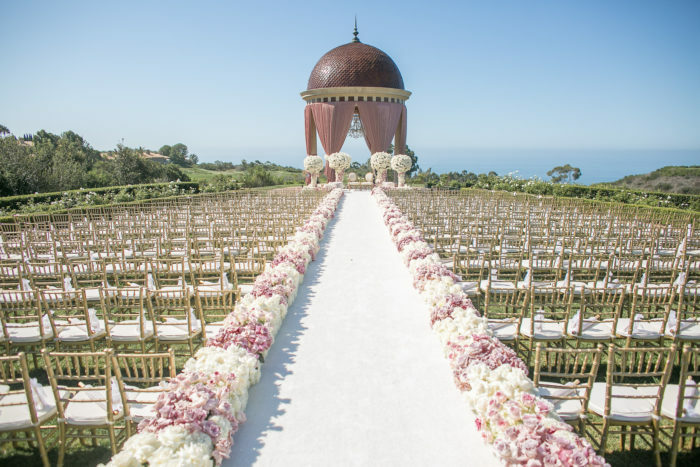 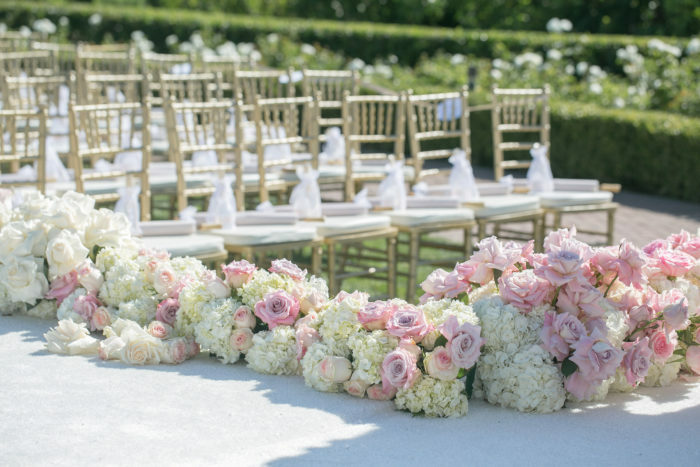 A white carpet aisle was lined with our floral aisle borders of pink, burgundy, and white flowers. 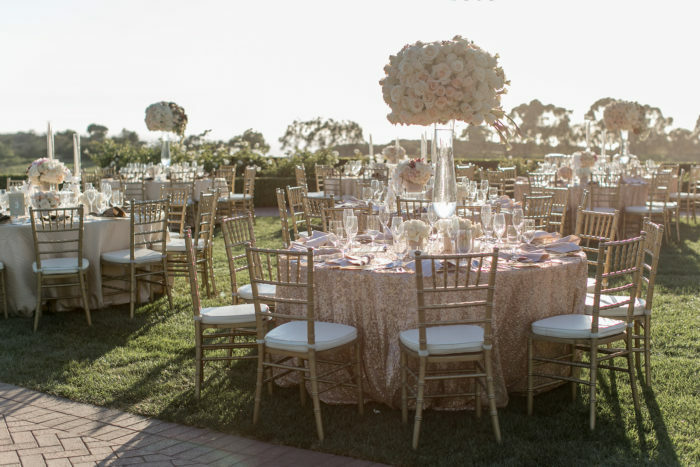 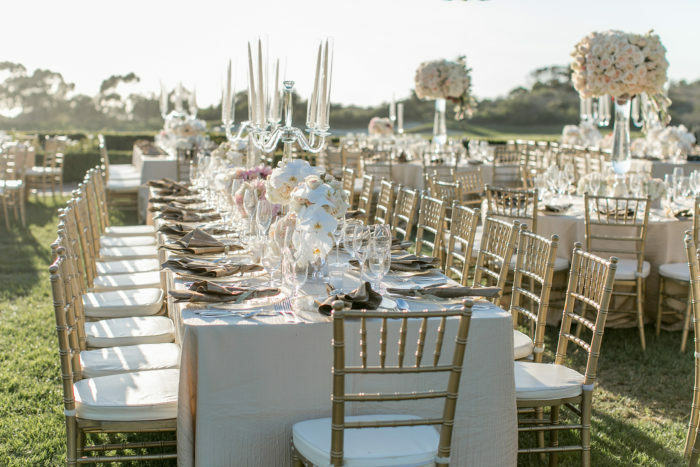 For the reception, elegant candelabras and floral arrangements lined the long tables. 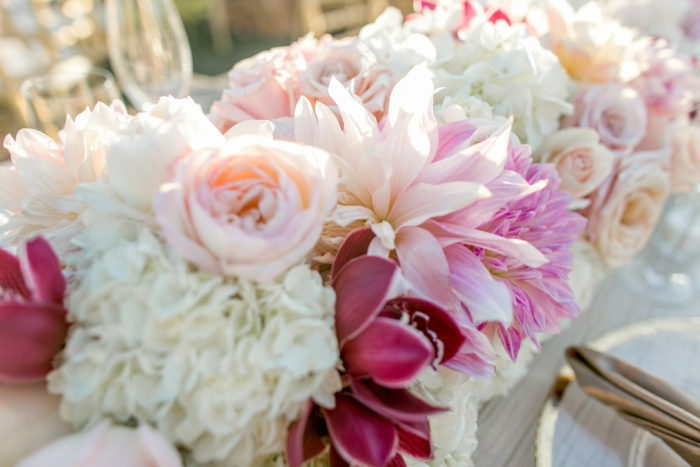 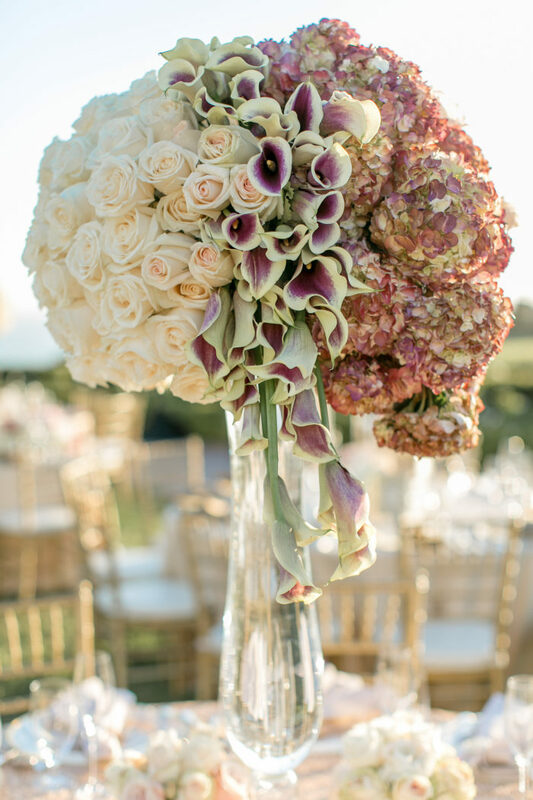 We brought a jolt of color without marring the soft neutrals of the ivory and pink palette, by using maroon-lined calla lilies and hydrangeas burnished with burgundy. 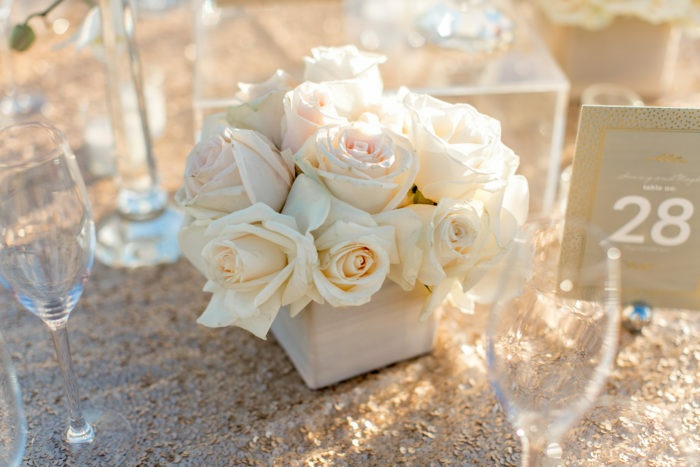 Alongside ivory roses, these three flowers were arranged side by side for a modern, chic affect. 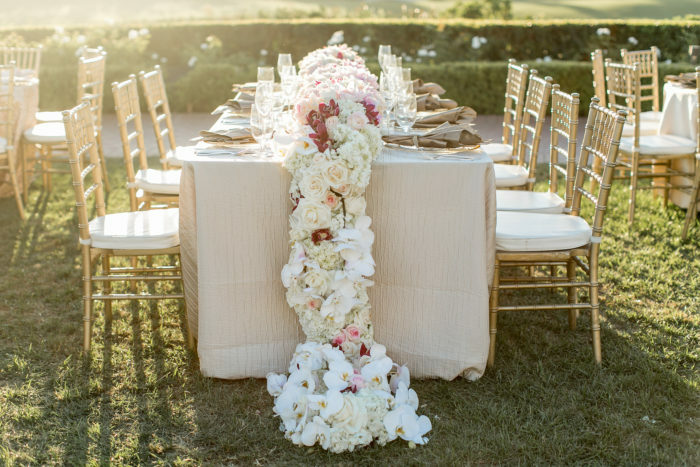 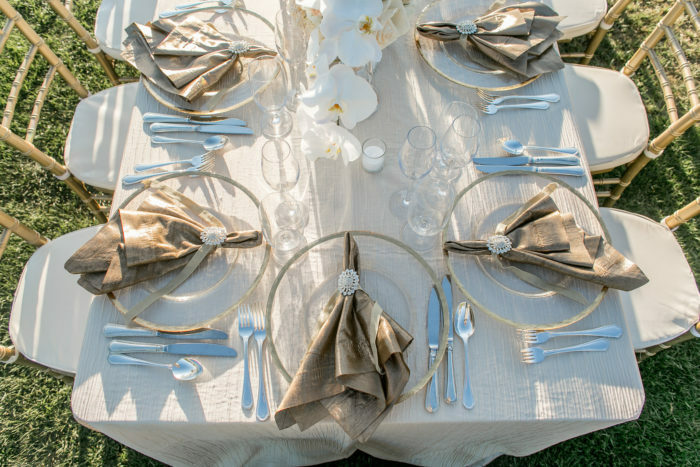 The luxe, long floral table runners were rich with hydrangeas, lilies, roses, and dahlias. 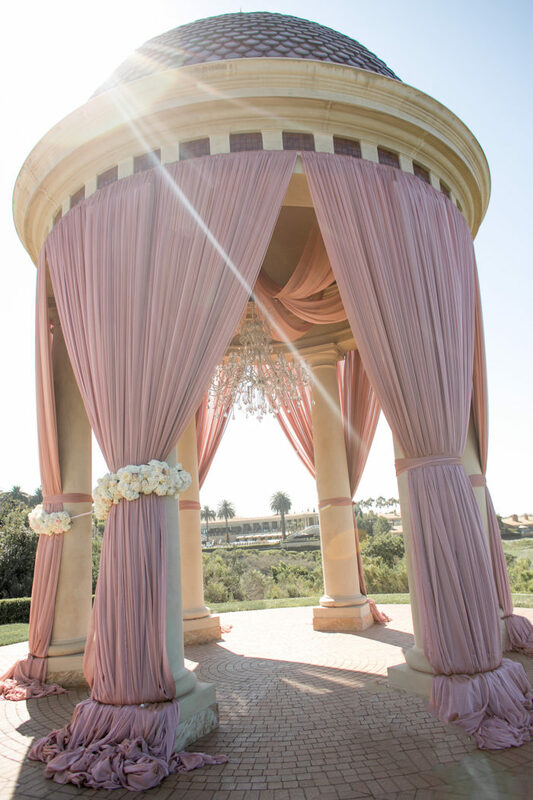 The gazebo shelters this elegant sweetheart table area. 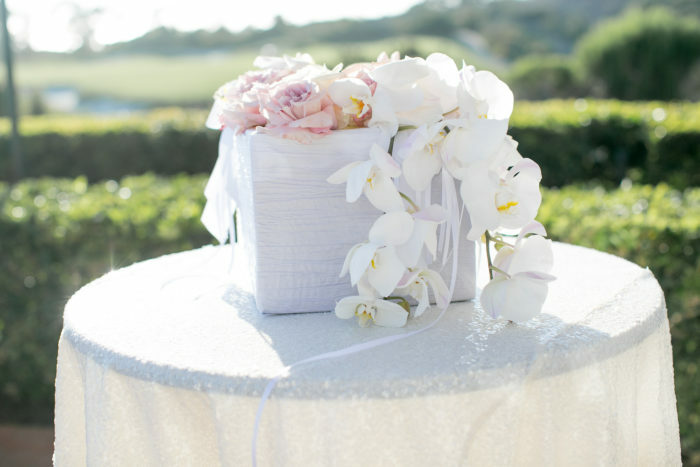 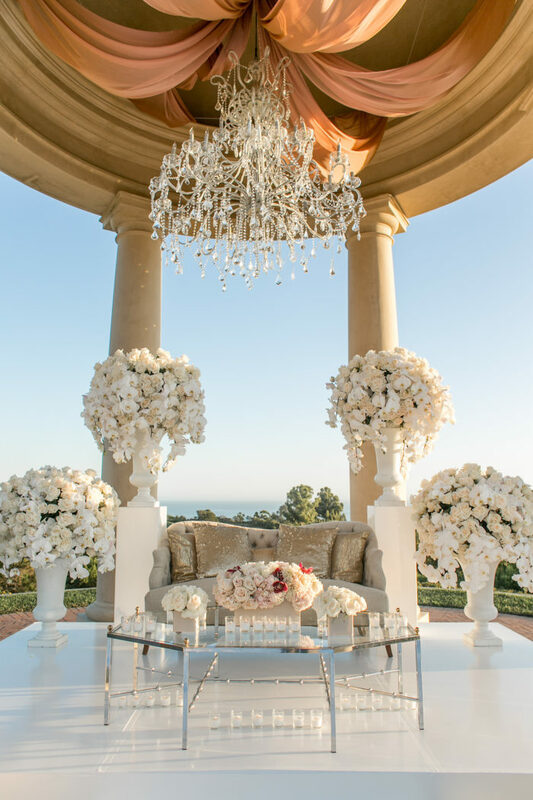 An upholstered sofa, geometric silver and glass table, and urns with drapes of phalanopsis orchids complete the setup.